What can we Infer from a Condemned Proposition? I was hoping you could take some time out of your schedule and help me with a question. 1) How does one interpret those long lists propositions censured by Rome, usually in the form of a negative or affirmative proposition? Does one understand the contrary or the contradictory as the orthodox doctrine? Are there any dogmatic principles laid out in one of your manuals in dealing with the interpretation of these propositions? 2) For example, what would be the contrary and/or contradictory of the proposition? Moreover, it is false that the civil liberty of every form of worship, and the full power, given to all, of overtly and publicly manifesting any opinions whatsoever and thoughts, conduce more easily to corrupt the morals and minds of the people, and to propagate the pest of indifferentism. The best constitution of public society and civil progress altogether require that human society be conducted and governed without regard being had to religion any more than if it did not exist; or, at least, without any distinction being made between the true religion and false ones. What do you make of this supposed contradictory formulation? It seems that this actually makes the proposition state the very thing the Pope was condemning as an actual possibility. It seems borderline nonsensical even. Would not the contradictory be posited in replacing "without" with the word "with"? 3) Could you take some time to break down the above proposition into it's constituent parts i.e. the subjects, objects, predicates, and so on. This is why the condemnation of a proposition as false necessarily implies that the contradictory is true, but does not necessarily imply that the contrary is true. For example, from the condemnation of the proposition that human arguments opposed to the Catholic faith should always be allowed free room for discussion, it follows that at least sometimes they shouldn't, but not that they never should, nor even that they shouldn't as a rule with limited exceptions. From the condemnation of the proposition that no offenders against the Catholic religion should be penalized to a greater extent than public peace may require, it follows that at least some of them should, but not that all of them should, nor that any of them must be punished to a far greater extent than public peace may require. To claim that the condemnation of a proposition establishes that the contrary of the proposition is true, rather than merely that the contradictory is true--like this: "Rather the contrary of the condemned doctrine would state [...]" [emphasis added]--is to perpetrate a fraud that will deceive only those who are not accustomed to employ even the rudiments of logic in comparing the teachings of Vatican II to prior teachings. I would greatly appreciate your thoughtful response in this matter. Please let me know if you are still accepting donations as I know your time is valuable. 1) I checked my best manual on Fundamental Theology (the Spanish Jesuit manual published by BAC in the 50's) and, although it does give an impressive treatment of the different notae theologicae, it does not seem to address the issue of deriving or inferring true propositions from condemned propositions. I am assuming that there must be many, much-more extensive, traditional monographs on Fundamental Theology that do go into the issue (after all, manuals are just summaries for seminarians), but I am not familiar with any (yet). 2) However, traditional logic does provide (almost) all the the tools that we need to make these inferences. The principles of making these inferences are not properly theological (that's why they are not likely to be found in theological textbooks) but philosophical. They belong to the discipline of logic. The only distinction we need to import from theology is the obvious fact that there are different levels of condemned propositions (cf. the notae theologiae). Sometimes propositions are condemned as false. When a proposition is condemned as false, then we can utilize traditional logic to infer the truth of its contradictory. 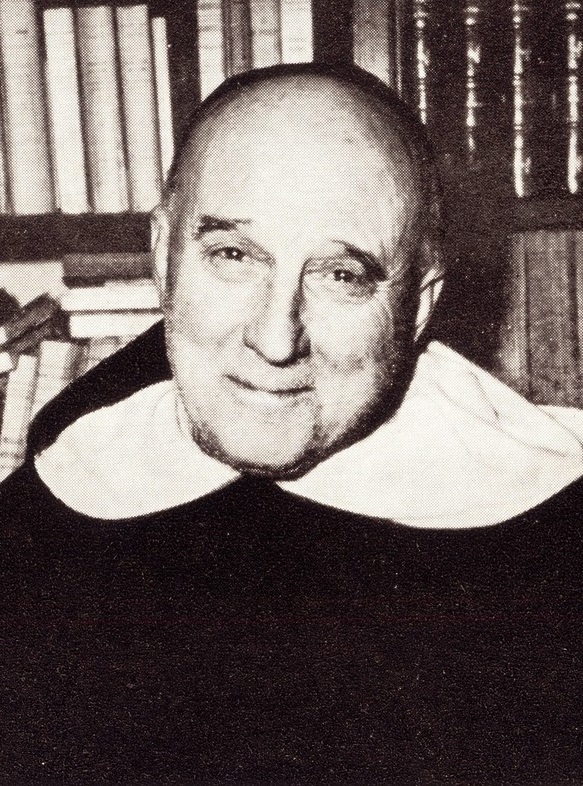 Sometimes, however, they are condemned in a "weaker" form, as doctrines that must not be taught or that sound offensive, or rash, etc., but not as doctrines that are necessarily "false" (the Magisterium will actually term them as doctrines that are "offensive to pious ears," or "rash," or something of the sort). When a proposition is condemned in one of these weaker ways, one cannot logically infer that its contradictory (or its "contrary" or whatever) is true. So let us find out how to derive the truth of the contradictory of a proposition that is condemned in the "stronger" way (i.e., as false). It is ALWAYS the case that, if a proposition is false, its contradictory (not the same thing as its "opposite" or its "contrary" or its "sub-contrary" or its "sub-alternate") must be true. The question is what exactly is the contradictory of a given proposition. It ultimately depends on how the proposition is formulated. For simple categorical propositions of universal and particular quantity, it's quite easy: just refer to the Square of Opposition. However, not all propositions are simple (some are compound) and not all are universal or particular (some are singular and others indefinite); in these cases, the Square of Opposition does not apply. In fact, neither of the condemned propositions you gave me are simple universal or particular propositions and, therefore, we cannot use the Square of Opposition to derive the truth of their contradictories. It is false that the civil liberty of every form of worship, and the full power, given to all, of overtly and publicly manifesting any opinions whatsoever and thoughts, conduce more easily to corrupt the morals and minds of the people, and to propagate the pest of indifferentism. This proposition starts with the words "It is false that..." For this reason, it is not a simple proposition, but a compound one. It is one proposition inside another. For the sake of clarity and economy of words, we'll abbreviate it as "~P." ("~" = "it is false that"; "P" = "the civil liberty... indifferentism." I hope you don't mind my using symbols to demonstrate the principle.) Now, this whole, complex proposition "~P" is condemned as false; therefore, we can say that ~P is false. Remember that if a proposition is false, then its contradictory is true. The contradictory of ~P is ~(~P), or simply P. So, if ~P is false, then its contradictory, P, is true. How does this translate into? How do you formulate the truth (the contradictory of the condemned proposition) in English? The civil liberty of every form of worship, and the full power, given to all, of overtly and publicly manifesting any opinions whatsoever and thoughts, conduce more easily to corrupt the morals and minds of the people, and to propagate the pest of indifferentism. Essentially, this means that civil liberty of worship and of opinion are conducive to the corruption of the people. This proposition (which is the contradictory of the condemned proposition) is true; we can safely derive this truth from the condemned proposition. THE best constitution of public society [...] IS something that requires that human society be conducted and governed without regard being had to religion any more than if it did not exist; or, at least, without any distinction being made between the true religion and false ones. The best constitution of public society and civil progress" are "things that require that human society be conducted... false ones. This is an affirmative singular proposition (if we interpret "the best constitution of publich society and civil progress" as forming a single, individual subject). Singular propositions follow what can be called "secondary opposition" (not primary opposition, which is what is expressed in the square of opposition). This means that they only have a contradictory, not a contrary. The contradictory of "a certain S is P" is "a certain S is not P." So, given that if a proposition is false, its contradictory must necessarily be true, this means that, since "a certain S is P" is false, "a certain S is not P" must be true. The best constitution of public society and civil progress DOES NOT altogether require that human society be conducted and governed without regard being had to religion any more than if it did not exist; or [...] without any distinction being made between the true religion and false ones. In other words, the best constitution of society does not require indifferentism. This is the truth that we can logically infer from the condemned proposition. The condemnation of a proposition as false necessarily implies that the contradictory is true, but does not necessarily imply that the contrary is true. In all the evangelical texts the name 'Son of God'' is equivalent only to that of 'Messias'. It does not in the least way signify that Christ is the true and natural Son of God. ALL evangelical texts that use the name 'Son of God' ARE texts that do not signify that Christ is God. SOME evangelical texts that use the name 'Son of God' ARE NOT texts that do not signify that Christ is God." Therefore, since the condemned A-proposition is false, the corresponding O-proposition is necessarily true. What is extremely important here is that we must not confuse the contradictory of a proposition with its contrary. The contrary of an A-proposition is its corresponding E-proposition. So the contrary of "All S's are P's" is "No S's are P's." Whereas the principle governing the relationship betwen contradictories states that if one of two contradictories is true, then the other must be false; the principle governing the relationship betwen contraries states that they cannot both be true, but they can both be false. Therefore, if we know that one is false, we cannot conclude that the other is true; in fact, we will not be able to conclude anything from that fact. For instance, "All extraterrestrial life forms are rational" and "No extraterrestrial life forms are rational" cannot both be true, but they can both be false. Hence, if we were to find out that one of these is false, we won't be able to infer that the other is true. SOME evangelical texts that use the name 'Son of God' ARE NOT texts that do not signify that Christ is God. I do not mean to say that this last proposition is false (I would think it's true, though I'm no biblical scholar). All I'm saying is that its truth cannot be inferred from the falsity of its contrary. To infer the truth of a proposition from the falsity of its contrary is a fallacy. I hope this helps. I apologize for the length of the explanation. St. Thomas could have done it a million times better in about 1% of the space. I thought that this was a universal proposition since it seems to refer to not any society in particular, but the concept of society in the abract viz. it's "best" constitution. The best constitution of public society and civil progress ARE things that require that human society be conducted... false ones. The best constitution of public society and civil progress ARE NOT things that require that human society be conducted... false ones. The best constitution of public society and civil progress altogether require that human society be conducted and governed WITH regard being had to religion any more than if it did not exist; or, at least, without any distinction being made between the true religion and false ones. Does this not seem to be the contradictory of the assertion that society ought to be governed "WITHOUT" those conditions? It seems that the contradictory that you formed would be implicitly allowing for the fact that sometimes religious indifference is the best constitution of society, but I thought this was the very thing Pius IX was censuring. As such, a liberal could theoretically glean from the above contradictory proposition that since we have evolved to a certain point in history, religious indifference of governments is always the best constitution, much like Dignitatis Humanae asserted. Would not the whole force of the condemnation be vitiated? 1) It seems to me that the third condemned proposition is singular (not universal) because its subject refers to a singular entity, namely, "THE best constitution." If the subject were "ALL constitutions" then it would be a universal proposition. If it were "SOME constitutions" then the proposition would be particular. The quantity of a proposition is identical to the quantity (or distribution) of the subject. It is true that sometimes we utilize an abstract term to mean the whole class. For instance, when we say "man is rational" we mean "all men are rational." However, if we qualify the subject "man" by saying it is the "best," as in "the best man will win," then we don't mean "all men will win" but "one man will win." Usually, "the best x" refers to a single x and not to the whole class. I think that is what is going on in this (condemned) proposition. That's why I interpreted it as a singular proposition. 2) Let us suppose the condemned proposition is universal (A). At least in the case of A, E, I, and O propositions, the way you find the contradictory of a proposition is by reversing BOTH its quantity and quality, and leaving the subject and predicate terms untouched. ALL constitutions of public society and civil progress ARE things that altogether require that human society be conducted and governed without regard being had to religion any more than if it did not exist; or [...] without any distinction being made between the true religion and false ones. SOME constitutions of public society and civil progress ARE NOT things that altogether require that human society be conducted and governed without regard being had to religion any more than if it did not exist; or [...] without any distinction being made between the true religion and false ones. ALL constitutions ARE things that require indifferentism" (which would be condemned, i.e., false). SOME constitutions ARE NOT things that require indifferentism" (which would be true, because it is the contradictory of a false proposition). And that's all that you would be able to infer from the condemned A proposition. To infer anything else would be a fallacy. 3) Now, there is something extremely important that you MUST understand. When you say that "Some s are not p" you are NOT implying that "Some s are p." That would also be a fallacy. These two types of proposition (I and O) are sub-contraries. You may not infer the truth of one subcontrary from the truth of the other (although you may infer the truth of one from the falsity of the other). For example, it is certainly true that "Some Thomists are not amoebas" (I, for one, am not), you may not thereby infer that "Some Thomists are amoebas." However, knowing that "Some Thomists are amoebas" is false, you could infer that "Some Thomists are not amoebas" is true. "THE best constitution IS something that requires indifferentism" (false, i.e., condemned). "THE best constitution IS NOT something that requires indifferentism." (true, i.e., the contradictory of a false proposition). You were alarmed that I would affirm this last proposition (the contradictory), because you thought it would imply that SOME constitutions other than the best one DO require indifferentism. But to think that way is to commit the same fallacy. From the fact that SOME constitutions (for example, the best one) DO not require indifferentism (I), one cannot infer that SOME constitutions DO NOT require indifferntism (O). a. If it is universal affirmative (A), then the contradictory will be a particular negative (O), from which you cannot infer a particular affirmative (I). b. If it is singular affirmative, then the contradictory will be a singular negative, from which you cannot infer a particular affirmative (I). "SOME constitutions ARE things that require indifferentism" (product of a fallacy). Let me know what your thoughts are on this. You have hit the nail on the head, the fallacious inference of a particular affirmative. It's like a revelation! I was bothered by something, but I couldn't quite put my finger on it. Essentially this gentleman was trying to assert that since the contradictory of the condemned proposition didn't necessarily logically exclude all constitutions, we could infer that some constitutions require religious indifferentism. The universal call of Dignitatis Humanae for civil religious indifferentism, based upon the dignity of man, is what is under discussion. Now, if this is a practical pastoral judgment based upon historic facts, then we could merely quibble about the prudence of such an idea. But on the other hand, if it is a theoretical doctrine, universally valid, or the ideal form of government and it's relation to religion, then we have a real problem. If you have time, the discussion would be greatly enriched by your participation. Is cooking forbidden on Sundays? Canon law forbids only unnecessary manual labor. Hence, if you are a baker at a bakery, and you work five or six days per week, then you are forbidden to work there on Sunday, because it would be unnecessary. However, some necessary, daily manual chores in the home are permissible on Sunday, such as cooking, or cleaning the dinner table, etc. In fact, if your mother decides to cook a nice meal every Sunday for the family, she is not violating canon law; that is allowed. Her cooking would be ordered to a proper observance of the Lord's Day. Also, anything else that involves manual labor but is ordered to the propery observance of the Lord's day is also permissible; for example, if you decide to iron your Sunday clothes on Sunday morning because you do not want to wear wrinkly clothes to Mass; or if your car battery dies on Sunday morning before leaving for Mass, and you are allowed to "jump" the car so you can get to Mass. Now, some public manual functions that are necessary for the proper functioning of society are also permissible on Sundays (for example, if there is a fire on Sunday, a firefigher should not wait until Monday to put it out!). Moreover, it may be that the ONLY way a man can find work is if he works on Sunday. Some jobs are such that they do not give you any other option. If that is the case, then one is exempt and may work. This situation is rather rare, but it is a possibility nonetheless. Also, play, even of the more physical sort, such as sports, are permissible on Sundays because they are not considered labor. Hence, you may very well play baseball or football or whatever as a form of recreation. Now, some people who have non-manual professions, such as myself as a professor, prefer also to abstain from working those days, even though the Church does not forbid it. This is a very laudable custom, although it is not mandatory. The prohibition is only with regards manual (physical) labor. Hence there are some (such as students and teachers) who customarily use Sunday afternoon to engage in their intellectual work, and this is not forbidden. Finally, be aware that the fact that the sabbath rest must be done specifically on Sunday is from Church law, not from divine or natural law, and hence it does not apply to those who are outside the Church. Hence, a Jew or Muslim does not sin by working on Sunday (historically, it has been quite common, for example, for Jews and other non-Catholics to take up the functions that are necessary for the normal operation of society on Sundays, such as the firefighting example above). For more, refer to the old, catechetical gem, My Catholic Faith (the section on the Third Commandment--I don't recall the page number). It has a nice, thorough explanation of all of this. 2) Does the same apply to polytheistic sacrifice? No. What the natural law commands is the exercise of the virtue of religion, which is the habit that allows us to offer to God what is due to Him (Cf. ST II-II.81.2). (This, of course, presupposes that we can know the existence of the One, True God through natural reason. Cf. ST I.88.3.) Now, polytheism fails to offer due worship to God; it offers it to something other than God (Cf. ST II-II.85.2). Therefore, polytheism does not fall within the definition of religion. Rather, it falls within the definition of "superstition," the vice that opposes religion by way of excess; more precisely, it belongs to the type of superstition that we call "idolatry" (Cf. ST II-II.94.1). 3) Of the four ends of sacrifice (worship, expiation, thanksgiving, and petition), one seems to be lacking in pagan Greek religion, namely, worship. Is this due to the Greeks' lack of Divine Revelation? If they were not aware of the fact that the natural law prescribes worship, certainly this is not due to not having the means of knowing, for this can be discovered by unaided reason. I'm going off on a limb here, but perhaps it was due to their polytheism, which was simply a corruption of their natural knowledge of God--in which case it would have been directly due to their sinfulness, and thus indirectly due to their lack of Divine Revelation. The pagan Greeks seemed to have been aware of the motives for the three other forms of prayer, but perhaps not for worship. Each of the four ends of prayer has a motive (Cf. ST I-II.102.3 ad 10). The motive of petitionary prayer is the hope of benefits received; that of thanksgiving, the reception of benefits; and that of expiation, the commission of sin. The Greeks had hope of receiving benefits, received them, and sinned; so they practiced prayer of petition, and thanksgiving, and expiation. However, the motive for the prayer of worship is the Divine Majesty itself. Perhaps due to their polytheism, they were not aware of the Majesty of the One, True God (after all, their "gods" were not at all that impressive, especially as far as their moral character goes) and, therefore, found little motive for the prayer of worship. 4) How is sacrifice inherently part of latria? By reading ST II-II.85, you will already have the basics of what sacrifice is, namely, one of the exterior acts (the primary act, in fact) of the virtue of religion (i.e., latria). The context for this doctrine is ST II-II.81 (on the virtue of religion in general), which I recommend you read entirely, especially article 7 (on the exterior acts of the virtue of religion, one of which is sacrifice). Also, read SCG III.120, where Aquinas discusses latria as the worship due to God alone. 5) How is the Mass a perfect Sacrifice? Aquinas goes a bit into this in ST I-II.102.3c, with reference to the causes of the ceremonial precepts of the Old Law. He also talks about the immolation of Christ in the Mass in ST III.83.1. 6) How are the rubrics (particularly orientation and tone of voice) fundamental to the perfection of this sacrifice? Technically, the natural law prescribes that we offer sacrifice to God, but not how we offer sacrifice. How we offer sacrifice is a matter of divine or human positive law (i.e., Revelation or Ecclesiastical Law): ST II-II.81.2 ad 3. 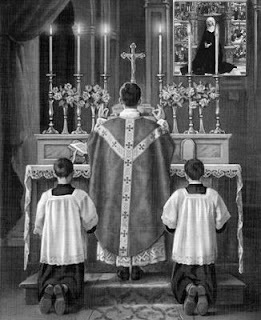 Now, Revelation does not specify, at least for the New Law, that we must worship facing East or that the priest should recite his prayers in a low voice. Ecclesiastical (liturgical) law has prescribed these from time immemorial, but these laws are not immutable. Therefore, it cannot be argued that these are essential. However, one can argue in many ways that these rubrics are "fitting." In ST III.83, Aquinas discusses the various elements of the rite of the Mass and argues for their fittingness. 7) Does man rely on externals that manifest spiritual realities? Yes, because we are body-soul composites, and there is nothing in the intellect which does not first come through the senses. Already in ST II-II.81.7c you will get the essentials of this doctrine, but he also has something very interesting to say in ST II-II.84.2c. Moreover, in SCG III.119 you will get a detailed explanation of how the mind is raised to God by means of sensible things.